On Tuesday, Wisconsin Governor and former presidential hopeful Scott Walker endorsed Ted Cruz for the Republican Party's presidential nomination. In one week, Wisconsin voters will go to the polls for their state's primary, and it could play a decisive role in determining the Republican nomination. While Donald Trump is the current GOP frontrunner, if Cruz wins the state, it could be a powerful symbolic win, in addition to helping him make up for his delegate deficit. 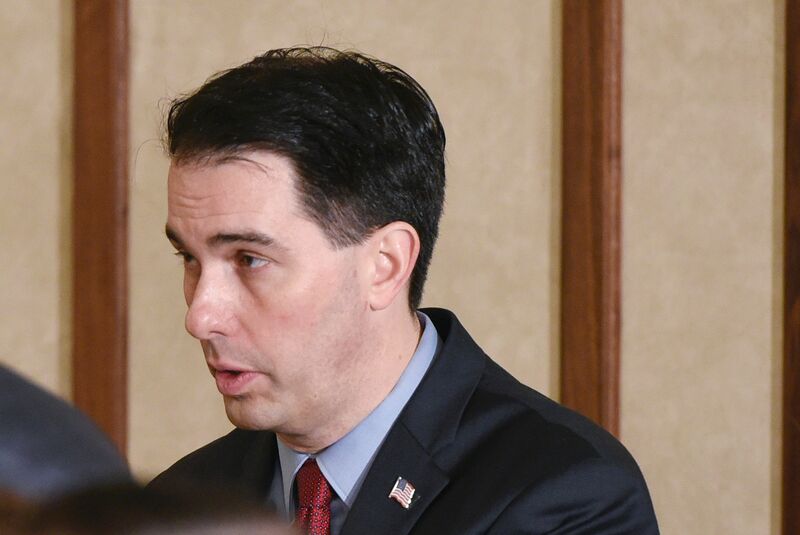 "It was an easy call for me to support Ted Cruz," Walker told conservative radio host Charles Sykes on Newsradio WTMJ. Walker elaborated on his decision to officially endorse Cruz, saying, "I just fundamentally believe that he's a constitutional conservative." He also brought up multiple times how both he and Cruz are the sons of preachers. While Walker seemed to actively deflect the opportunity to criticize Trump, he stressed that he believed Cruz would work better with Wisconsin Republicans' values: "He stays firm. He sticks to his guns. That will go over very, very well." The Wisconsin governor also made a concerted effort to stress that this wasn't an anti-Trump endorsement, but an announcement of active support: "To me, I'm all in. This is not a default." The ever-bellicose Trump preemptively declared on Twitter less than 24 hours ago that Walker wouldn't endorse him because of "the way I beat him." Meanwhile, Walker took to Twitter to further explain why he was supporting Cruz, declaring that he "isn’t afraid to stand up to big govt special interests" and is "the best-positioned candidate to both win the Republican nomination and defeat Hillary Clinton. I’m proud to stand with him."